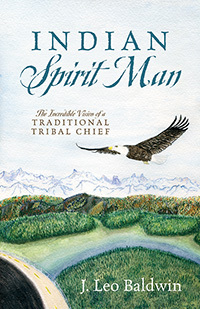 J. Leo Baldwin’s “Indian Spirit Man.” A powerful book about the clash of two cultures and its environmental impact. The Takua Indians lived peacefully and prosperously until a large hydroelectric dam was built on their river forcing them to a reservation. A vision by the tribal chief propelled him to declare war on the dam to appease his distraught ancestors.